-We are MERGING with Targhee CrossFit!!! 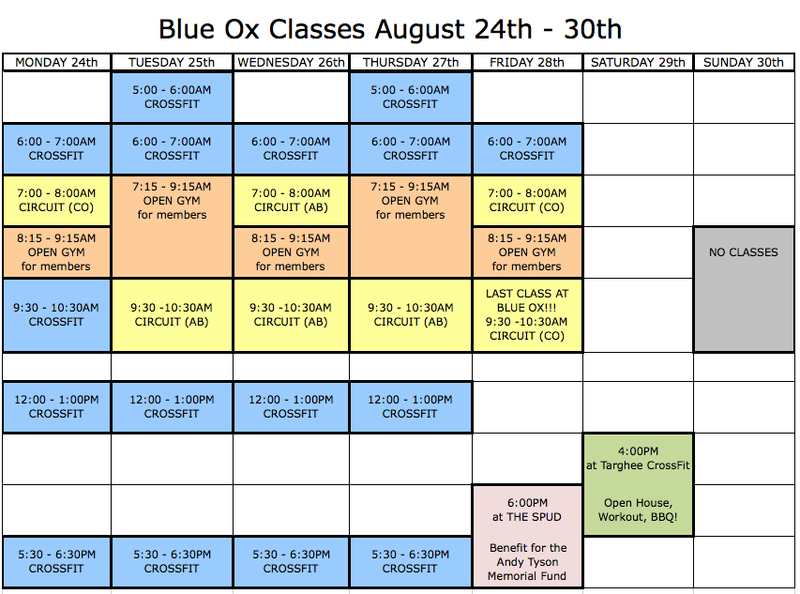 This is the LAST WEEK of classes at Blue Ox! -We encourage everyone to attend the Andy Tyson Memorial Fund Benefit on Friday, August 28th, starting at 6PM at the Spud. The films are amazing, and there are going to be some awesome raffle prizes as well! -Targhee CrossFit will be hosting an Open House, Workout and BBQ on Saturday starting at 4:00PM. Be there… or be round! -You can visit our Facebook page for the latest information.